Wouldn’t it be great to have an easy way to remind your patrons that they have free access to LearningExpress along with the other great online services and databases your library provides? Or how about a way to encourage them to *use* those databases? Quick, targeted email blasts are an effective way to start a conversation and raise your community’s awareness about resources like digital magazines, online classes, and genealogy. You can even target specific audiences. 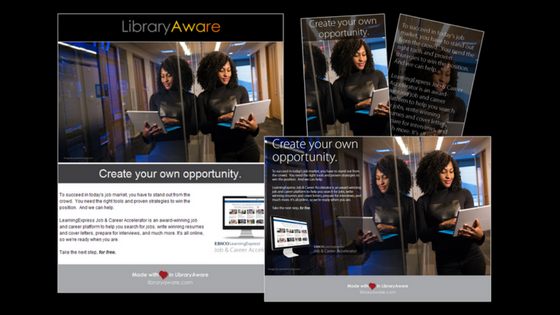 In addition to the available email templates already in LibraryAware that let you promote everything your library offers (and would like to showcase), we’ve added product-specific templates for LearningExpress products. Expand beyond email with our bookmark, flyer, and rack card templates, too, which are great for displays or leave-behinds at career or informational programs. Want to know more about libraries that have successfully increased database usage through email campaigns? 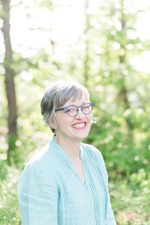 Check out our recent webinar, Promoting Library Resources with Email, and hear large and small libraries share their takeaways from their successful campaigns. Even better, we created a white paper with step-by-step guidelines on getting a campaign started. We’ll be adding additional product templates in LibraryAware soon -- stay tuned! Meanwhile take a look these and other templates on our Pinterest boards.